Fulbourn, Cambridgeshire. 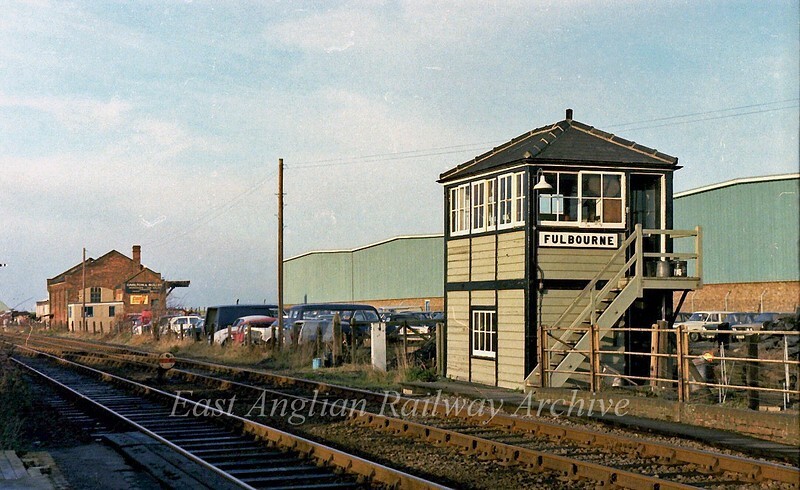 The signal box on 8th December 1979. This was of Saxby and Farmer design and closed on 8th May 1983. The goods shed can also be seen. This has now been demolished. Notice B.R spelt Fulbourn with an extra e.